Trying to lose weight and get healthy? 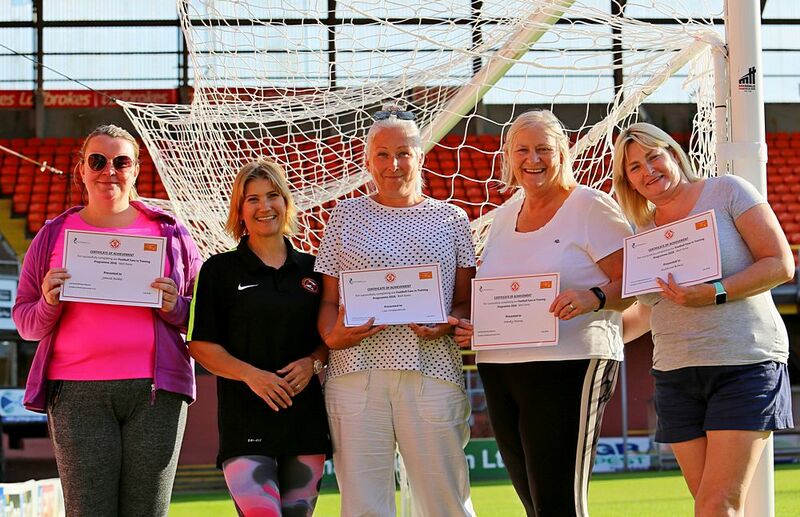 The Dundee United Community Trust’s latest Football Fans in Training programme is here to motivate you make that change. Sign up for the next instalment of the Men's and Women's Football Fan's in Training programme now! The next intake of the free football fans in training programme begins on the 11th February 2019. The 13-week programme is in partnership with Dundee United Community Trust and Dryburgh Athletic and will be delivered at Tannadice Park. For the first time, the course will be delivered between both dressing rooms at Tannadice! The men’s course will be on Mondays from 6:30pm-8pm and the women’s course will be on Thursday’s from 6pm-6:30pm. For more information and to secure your place, please get in touch at michael.malone@dundeeunitedct.co.uk. Alternatively, call 01382 833166 option 7. Please note the programme is free. Throughout the 13 weeks our qualified coaches will educate and encourage participants to make positive changes to their lifestyles, diet and physical activity with the overall goal being weight loss. Sessions will consist of an hour’s theory followed by a physical activity session which is gradually developed. However, this does not need to be football related and will be tailored to the needs of the group. Before FFIT I wouldn’t walk a couple of hundred yards, by the end of the course I was walking about 8 miles a day 5 or 6 days a week…..I even walked/climbed Mt Snowdon. I can’t stress how much I appreciated the help and support to get off the couch and get started, best decision I made this year. Football Fans in Training gave me the kick start to making better choices, which I have continued after the programme finished. I am more active than I’ve ever been. I think everyone who wants to make the change should sign up and also have a laugh or two along the way. Any questions, please please send us an email on michael.malone@dundeeunitedct.co.uk or call on 01382 833166 (option 7).